Davy J is a new kind of swimwear. Swimwear for the wild, designed to survive a dive, a surf or a cliff jump. Made from 100% regenerated nylon, which includes ocean waste and ghost fishing nets, they are tough, durable, and proudly sustainable. I was honoured to take part in a photoshoot for their new collection last month, and I wanted to share just how incredible this brand really is. Founded last year by wonder woman Helen, who won a Woman of Future Award in Entrepreneurship, Davy J is going big places. An average of 680,000 tonnes of fishing nets are left in the water each year, accounting for 1/10th of marine waste! Just 1 tonne of this waste could create enough nylon for 10,000 swimsuits! Davy J use 100% of this regenerated nylon, taking plastic out of the ocean and turning it into something durable for those of us who love the big blue. 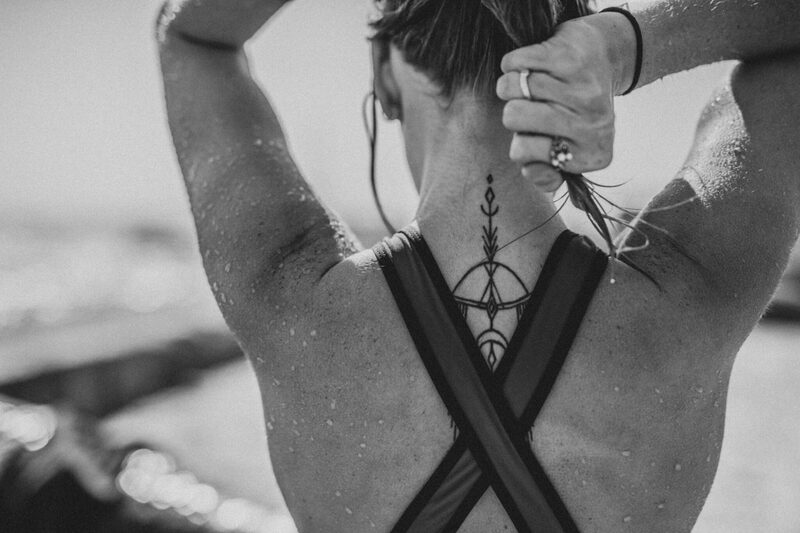 Reinforced with high elastane, edged in hidden rubber and double lined, the swimwear is specially designed for the active woman, designed to survive everything from surfing and dives to cliff jumps and waterfalls. They manage to be both supportive, durable and stylish, with a ridiculously flattering cut in a range of eye-popping colours. The opposite of fast fashion, Davy J swimwear is designed to last A LOT of wear and tear. But, if you do find your swimwear has become worn, they will take the piece off you and repurpose it into new items. A circular economy, an attitude to zero waste, reusability and sustainability. Davy J aim to be 60% closed loop recycling by 2020. This probably reads like an advertisement or a paid promotion, but I’m honestly writing about this company because I believe so strongly in what they do and how they do it. Protecting our oceans, promoting healthy and sustainable business practices, encouraging slow-er fashion. It’s everything we need clothing companies to be. It wouldn’t be fair to not discuss the higher price point of the swimwear. It’s certainly a lot higher than I would usually pay. But I’m trying to slowly transition my wardrobe into something full of ethical, but still stylish pieces. If you’re doing this too, then I couldn’t recommend a better swimwear brand for all you active, water loving, wild women out there.